Getting feedback is just as important as giving it. 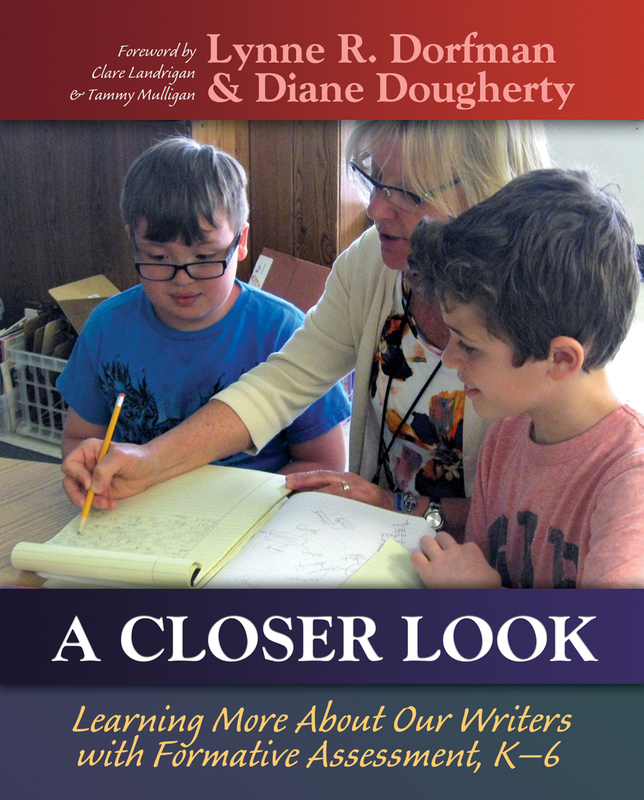 In A Closer Look, Lynne and Diane provide tools, anecdotes, and ideas that will support writing teachers of all grade levels. An engaging read and must have book for teachers who want to see more growth in their students’ writing. Lynne, a native of Philadelphia, received her bachelor's and master's degrees in elementary education, her supervisory certificate in elementary education, her reading specialist certificate from LaSalle University, and her educational leadership doctorate degree from Immaculata University. Diane Esolen Dougherty lives with her husband in Downingtown, Pennsylvania. She is a graduate of West Chester University and received a master's degree from Villanova University. While working on her degree at Villanova, she was a research scholar working with professors of English. With careful reflection on their own experiences with students, Lynne and Diane have created a book that will deepen any teacher’s understanding of formative assessment as a tool for learning. This book will help you better understand the job of conferring, goal setting, and ongoing assessment in helping your students grow as writers.